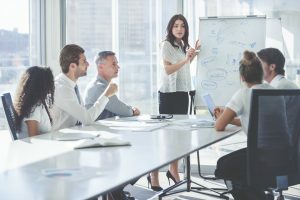 Leadership Traning | The Taylor Reach Group Inc.
Training for Contact Center leaders: Team Leads, Supervisors and Managers are one of the most overlooked opportunities for most centers. Traditionally agents are promoted to team lead, handed more responsibilities and never receive training that allows them to be knowledgeable about the ‘whole’ Contact Center. This absence costs centers millions of dollars annually, as the Team Lead, Supervisor or even Manager didn’t understand the impact of one change upon the broader center. We can help you stop the pain, by equipping your center leadership with a deep, broad and ‘holistic’ understanding of key Contact Center functions, activities, processes and technologies. We can equip your center leadership with the expertise to manage a better team, increase performance and productivity and identify problems and their root cause faster and more effectively. If your leaders don’t have the expertise, do you really want them to lead? Training is an essential activity in a Call Center or Contact Center, especially when it comes to ensuring those in Contact Center leadership positions are trained to properly motivate and encourage others within the Call Center while grasping a deep understanding of Contact Center operations. The quality of service and the customer experience delivered by the center(s) is largely dependent on the training delivered by Contact Center leadership. Taylor Reach can deliver this training at your center’s location on mutually convenient dates, generally within thirty days. The fees for the course would be $3,500 per person. A minimum charge of $9,000 plus applicable taxes. All direct expenses including travel and accommodation, if applicable, is to be billed at cost.